Introducing my new series called "Coming Soon". This will feature products that are going to be released in US and/or UK and "hopefully" will be coming soon to Australia. 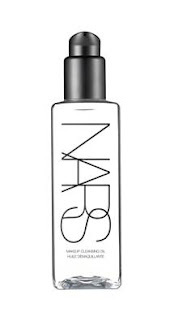 First on the series is Nars' Cleansing Oil which is scheduled to be released in September 2009 in US ($40) - (source: TalkingMakeup) -me new fave beauty blog to read. So how is this different from say Shu Uemura? Product description says "can be applied with wet or dry hands and rinses off effortlessly". We'll see about that when I get my hands on this baby. I am pretty sure once it hits Australian market, it will be 3x the price in US. I am sad already just thinking of how much it will cost. @shanghainese - me too! i think it will take a while for this to reach Australian Shores :( also i hope it doesn't cost too much. totally agreed, why is the markup so crazy in aus. don't even start me on shu here!